Hong Kong is a vibrant city that can be overwhelming for travelers when they first arrive. 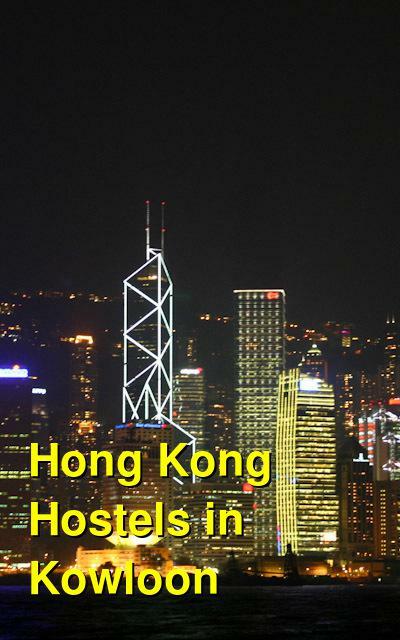 Visitors will find many budget accommodation options in the area known as Kowloon. Kowloon sits on the peninsula that is just north of Hong Kong Island. It is also one of the most densely populated areas in the world. You'll find a mix of backpacker hostels and high end accommodation, making it a diverse and eclectic place to stay. 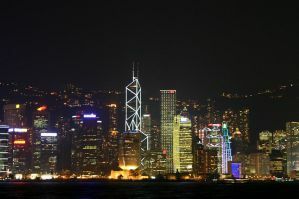 Many of the budget hotels and hostels are located in the Tsim Sha Tsui area, which is at the tip of the peninsula. This is also Kowloon's main tourist area. As you head north into Mong Kok you'll find plenty of shops and markets. How much do hostels in Hong Kong cost? This is one of the newest hostels in Hong Kong. It is owned by two Canadians and is located just a short distance from the Tsim Sha Tsui station as well as Kowloon Park. It's within walking distance of many interesting parts of the city. The atmosphere is warm and welcoming, but also modern and clean. There are many amenities available to guests including a small kitchen, high pressure showers, comfortable mattresses, high speed internet, and a fun common area. The atmosphere is social and friendly and the hostel periodically hosts group outings such as island hiking and city tours. You can choose between 8, 6, and 4 person dorms. This hotel is located in the Tsim Sha Tsui area with plenty of shopping, restaurants, and entertainment nearby. It's also very close to an MTR station. The rooms are all fully furnished and you can choose between double, single, twin, and triples as well as dormitories. Every room has an ensuite shower and bathroom as well as a television, refrigerator, and telephone. There's also laundry facilities located nearby. Guests can enjoy the small outdoor patio that is located just behind the building. Within walking distance of this hotel is the Star Ferry, the Kowloon-Canton Railway Station and the China Hong Kong City Ferry Terminal. You'll also find plenty of restaurants nearby that are diverse is price, style and cuisine. This hostel was redecorated in 2010 and has amenities such as free internet access. It's considered a three star standard room hotel and focuses on budget prices. The decor of the hotel focuses on traditional Hong Kong styles combined with the England hostel culture. The hostel has been around for 20 years and is well established. The staff is knowledgeable and fluent in English, French, Japanese and Mandarin. The reception area is open 24 hours a day for the convenience of guests. There are many guest rooms available at this hostel spread over various buildings that can range from dorms of various sizes. The hotel is located on Mody Road near the Victoria harbor, and surrounded by shopping and other tourist attractions, making it a convenient location, yet quiet if you want to get away from the noise and nightlife. It is a short walk to the ferry and the metro stations, as well as various shops, restaurants, and nearby parks. This hotel is located in the Tsim Sha Tsui area in the ChungKing Mansion. It's been around since 1988 and offers several amenities to guests including private showers and bathrooms, air conditioning, television, telephone, and more. You can choose between single, twin, and double rooms in either a standard or deluxe style. Nearby you'll find plenty of shopping and entertainment venues. It's a vibrant part of the city and there is always something to see or do.